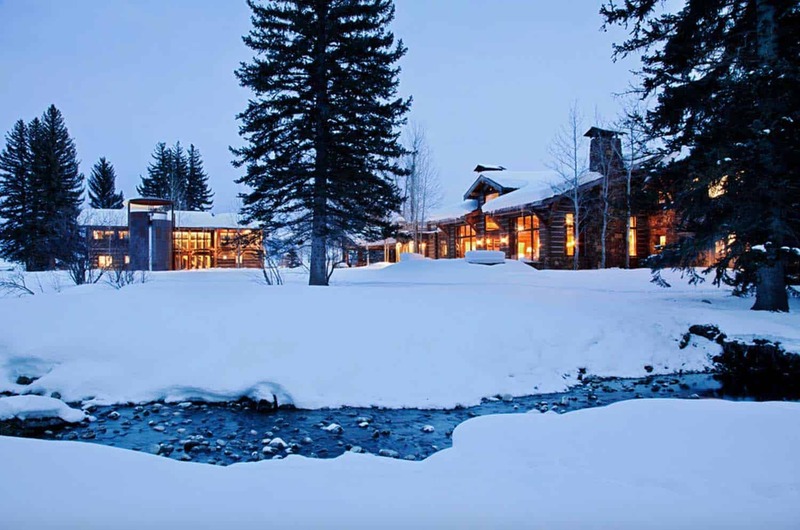 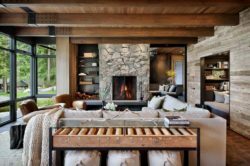 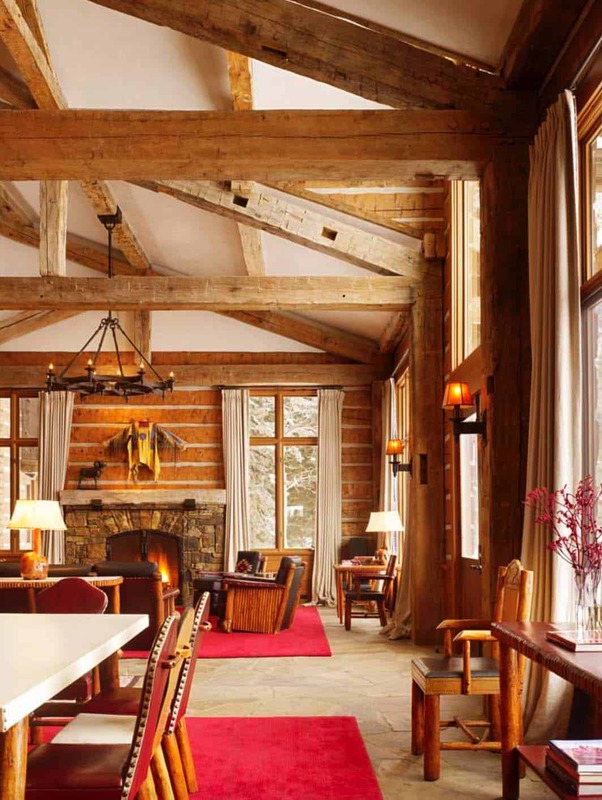 Carney Logan Burke Architects designed this lodge house with a beautiful rustic palette, located along the Snake River just north of Jackson, Wyoming. 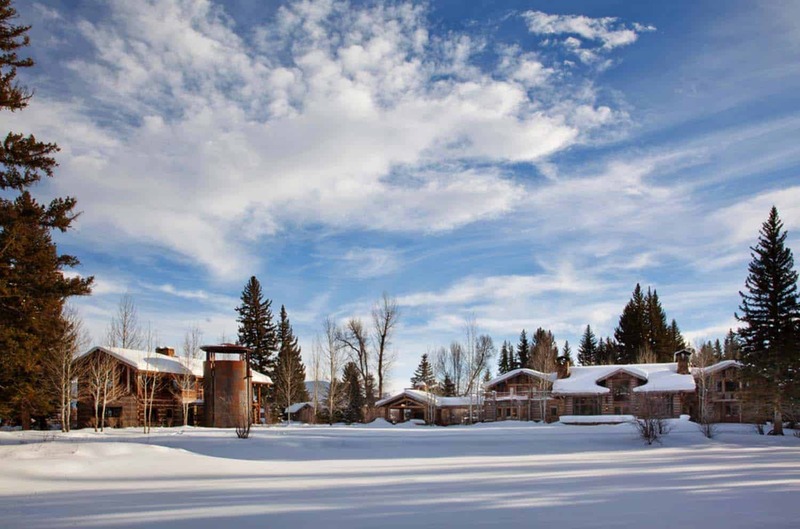 This sprawling residential compound is surrounded by mature cottonwoods, a beautiful pond, and numerous trickling streams. 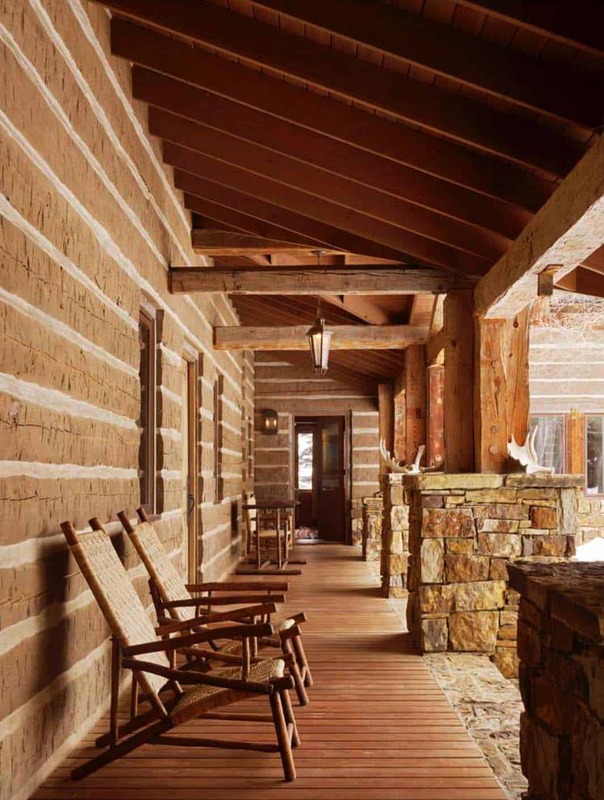 Timber, log and stone makes up the exterior facade of the main residence, which gets its inspiration from the early twentieth century National Parks lodge architecture. 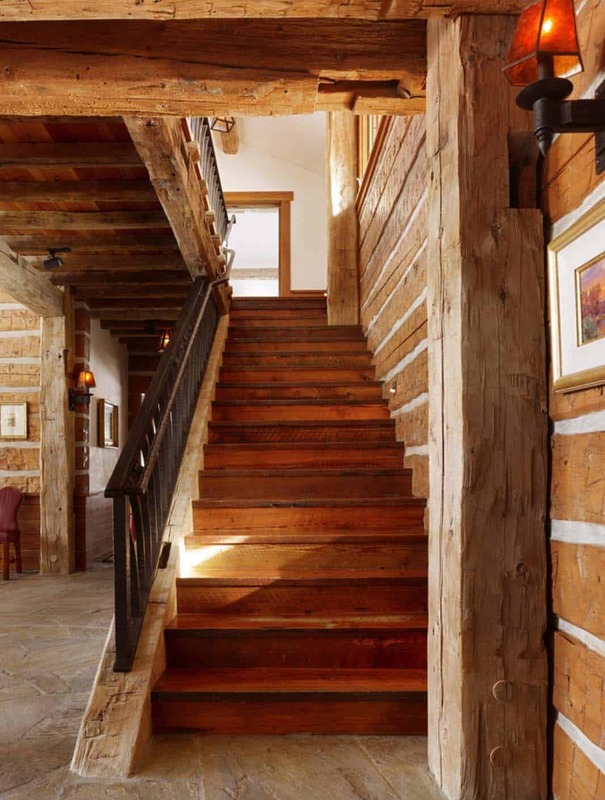 There are two additional buildings found on the property, which takes on a more traditional appeal of the western log structure. 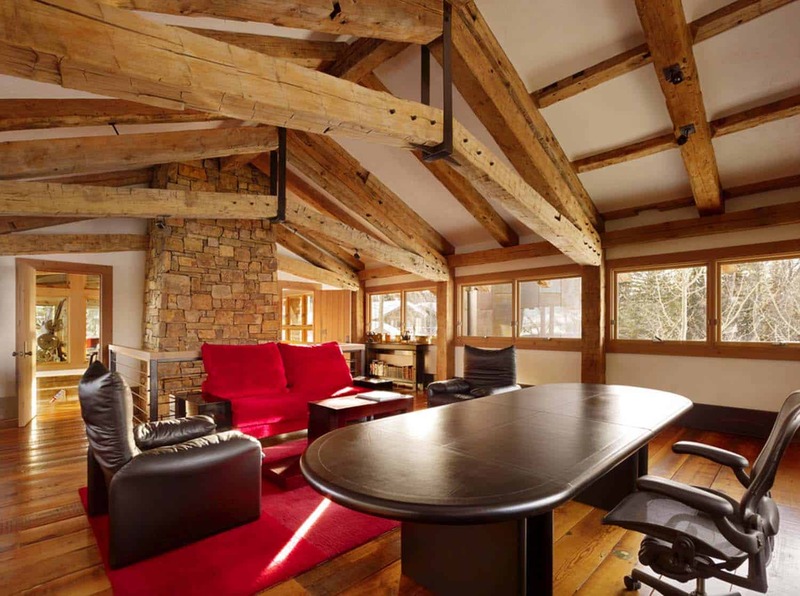 The structures consist of a shop/office building and a wine silo. 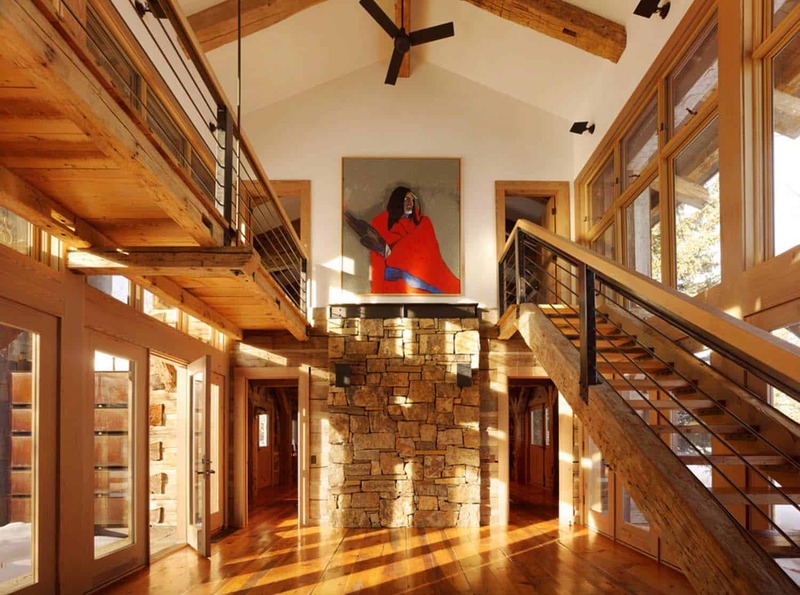 For the shop/office building the homeowner’s sought an unusual artistic statement that would speak to the present era while retaining a connection to the rustic tradition of the main lodge house. 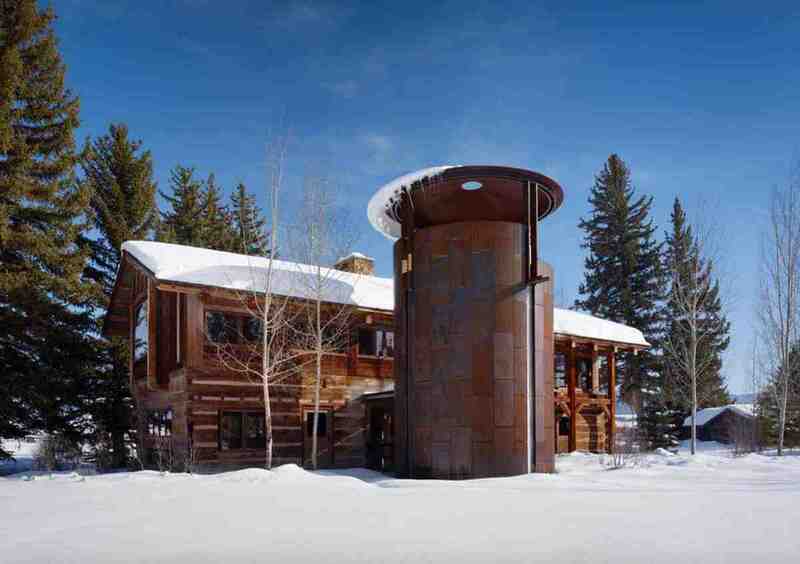 The wine silo was the final addition to the compound, standing adjacent to the shop. 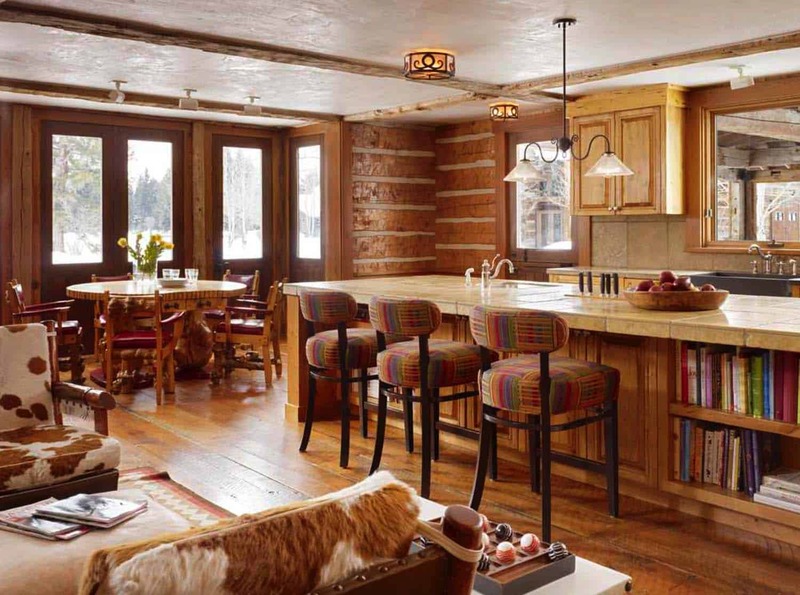 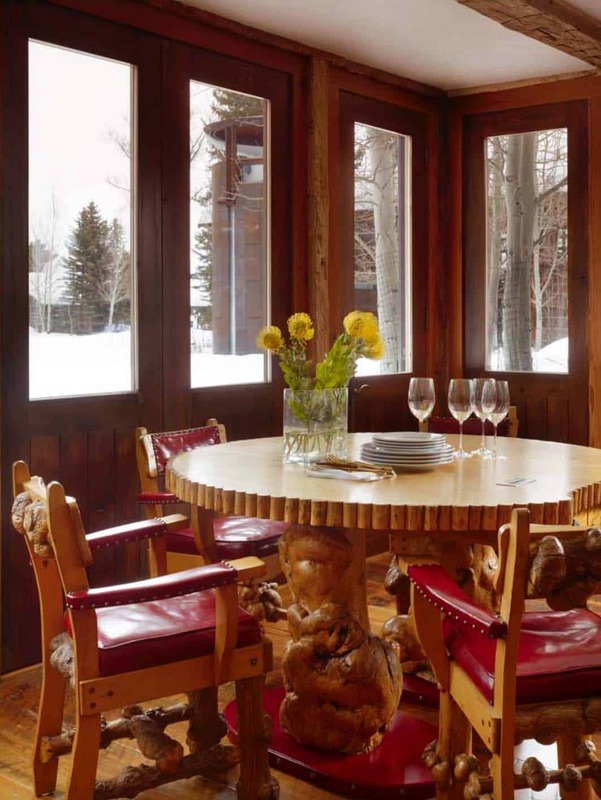 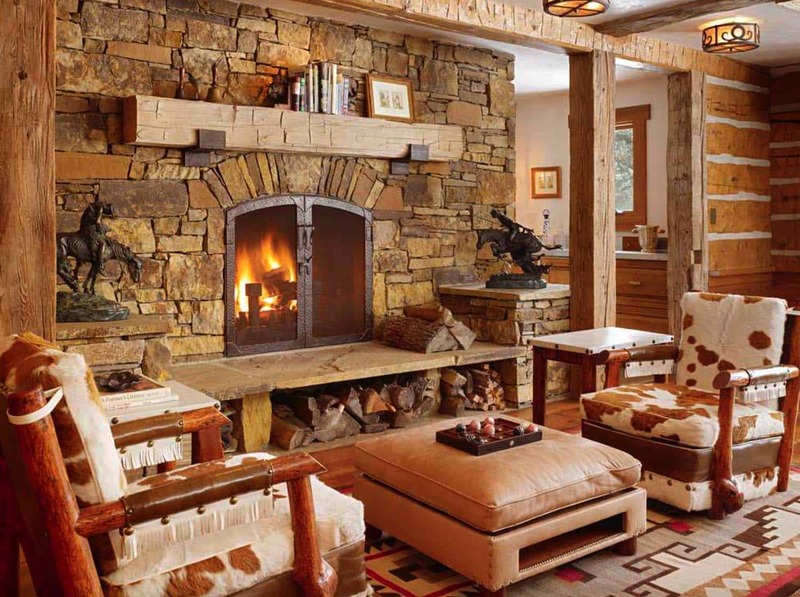 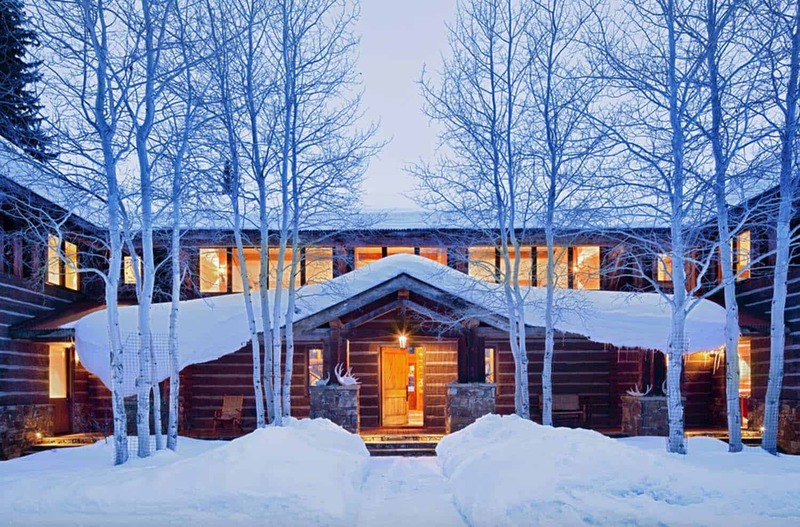 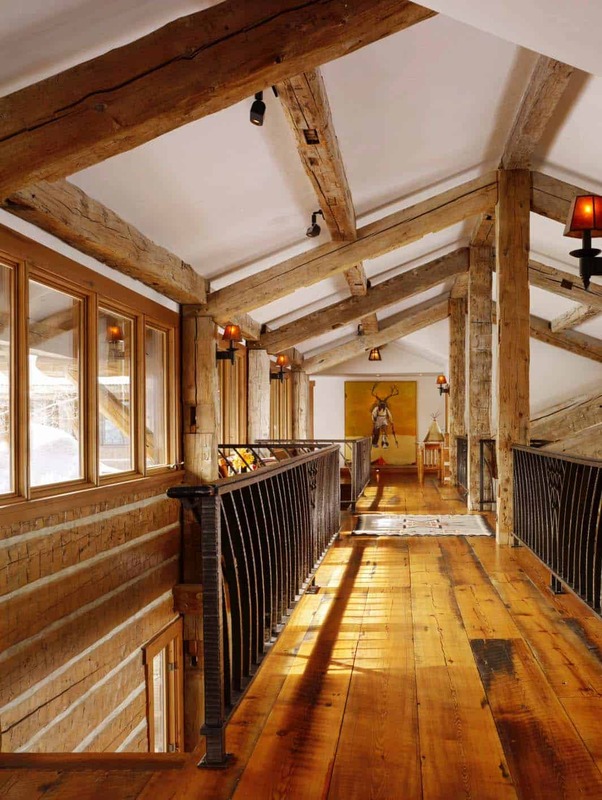 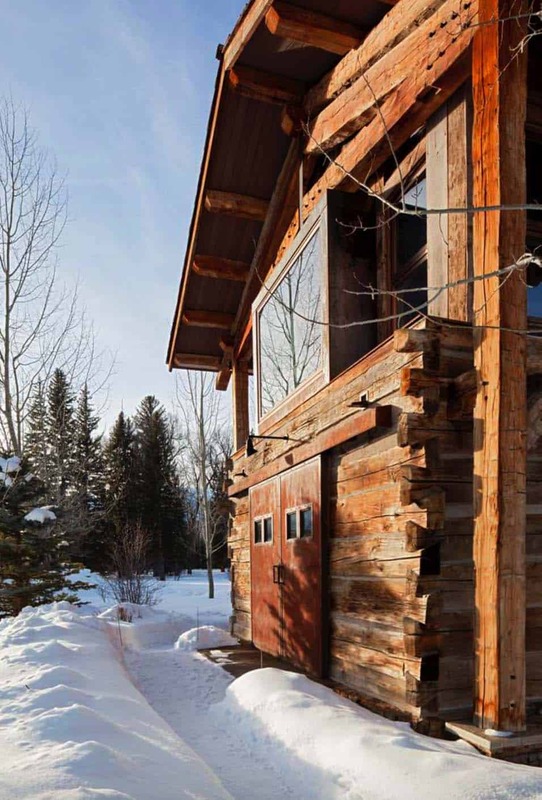 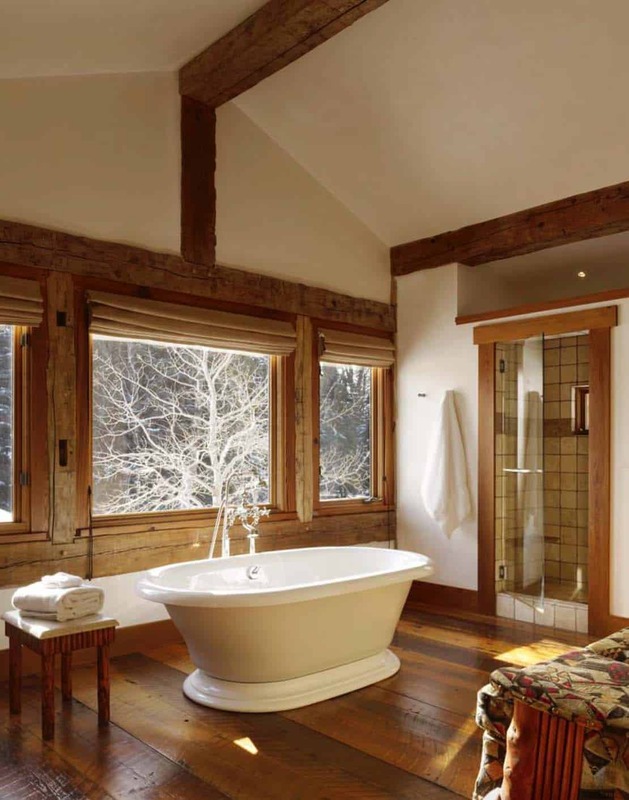 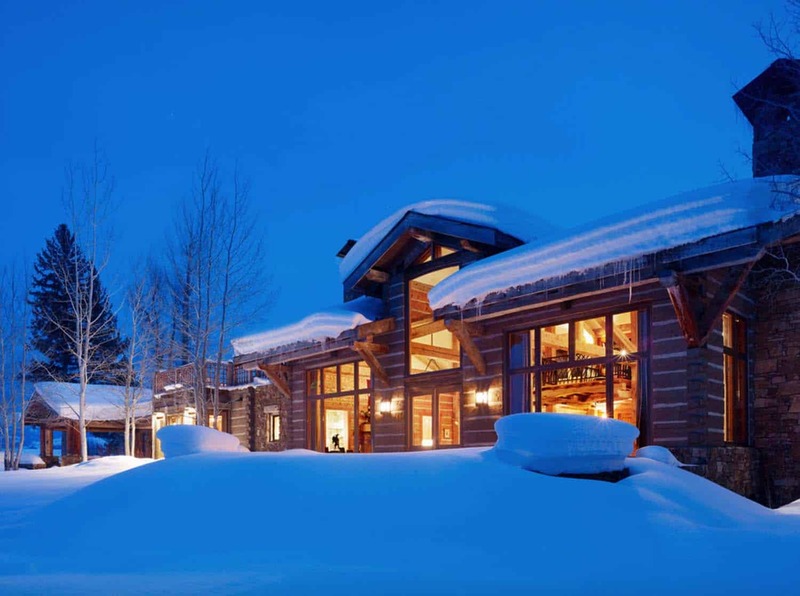 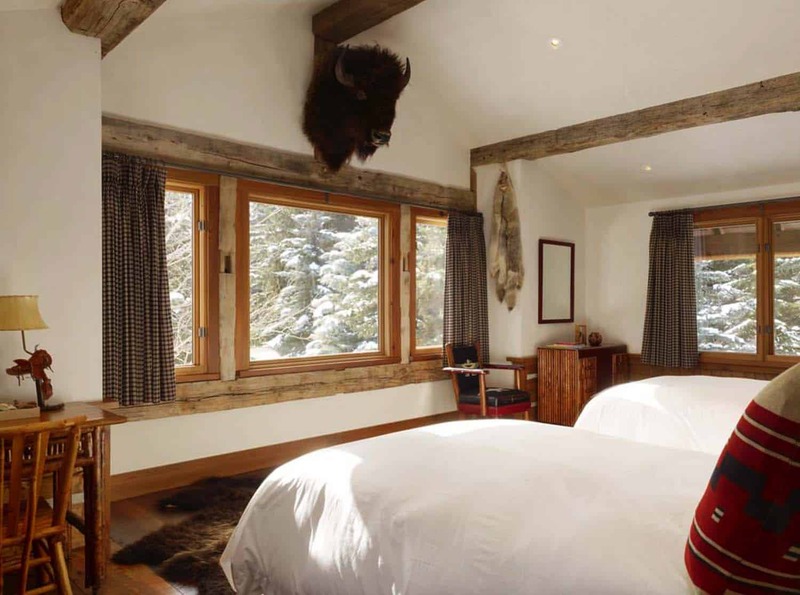 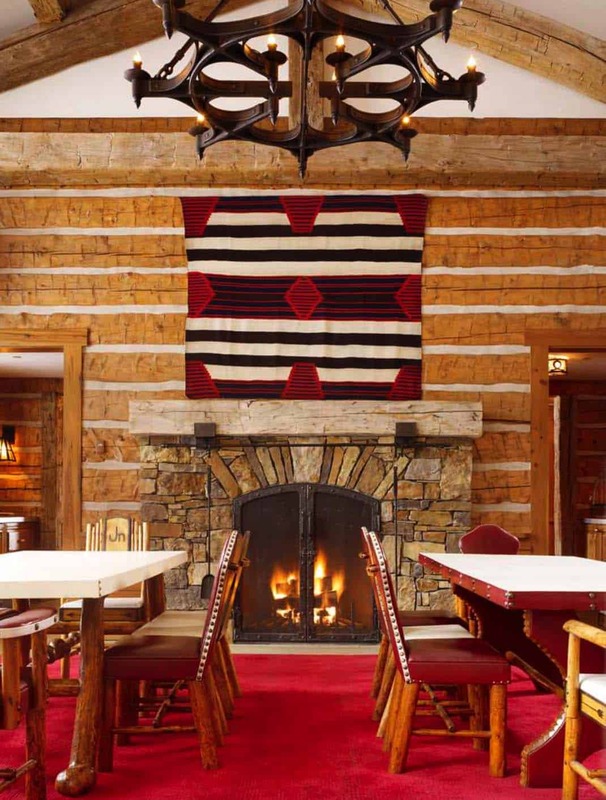 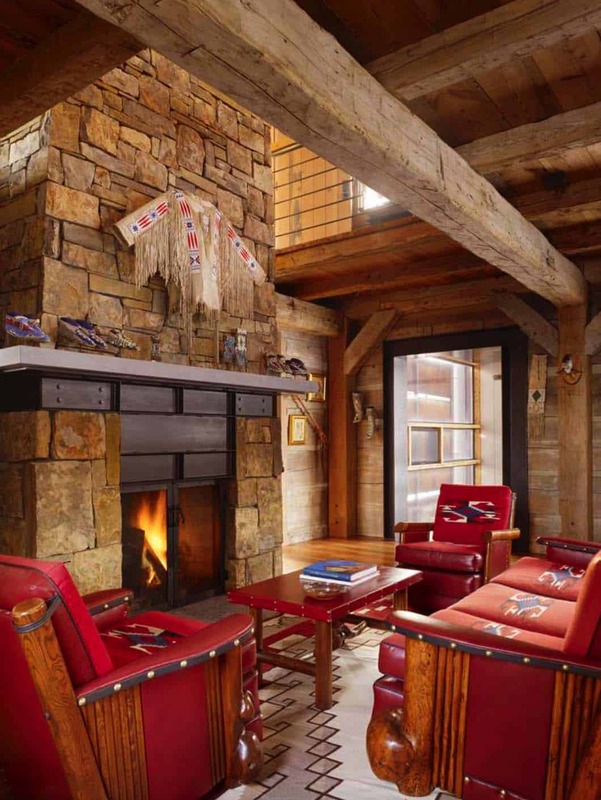 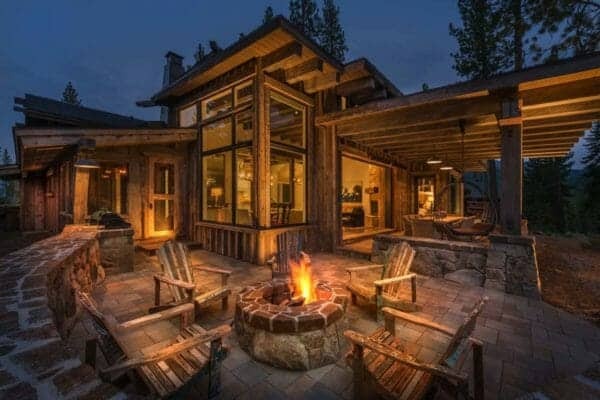 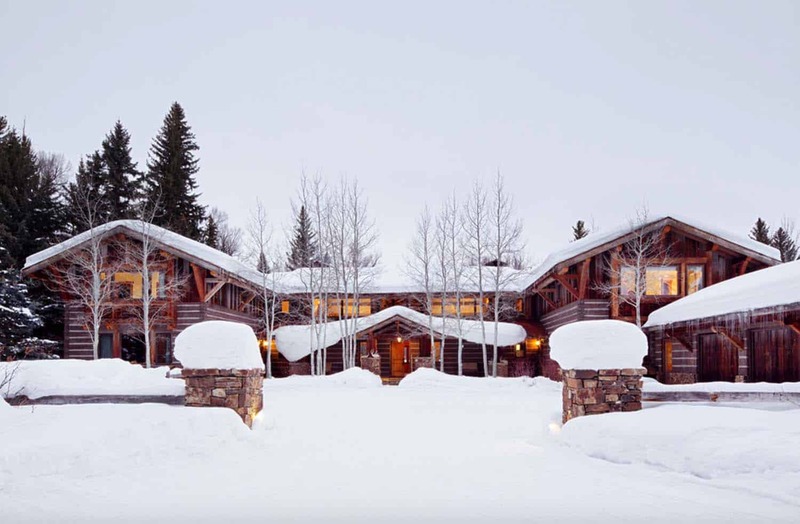 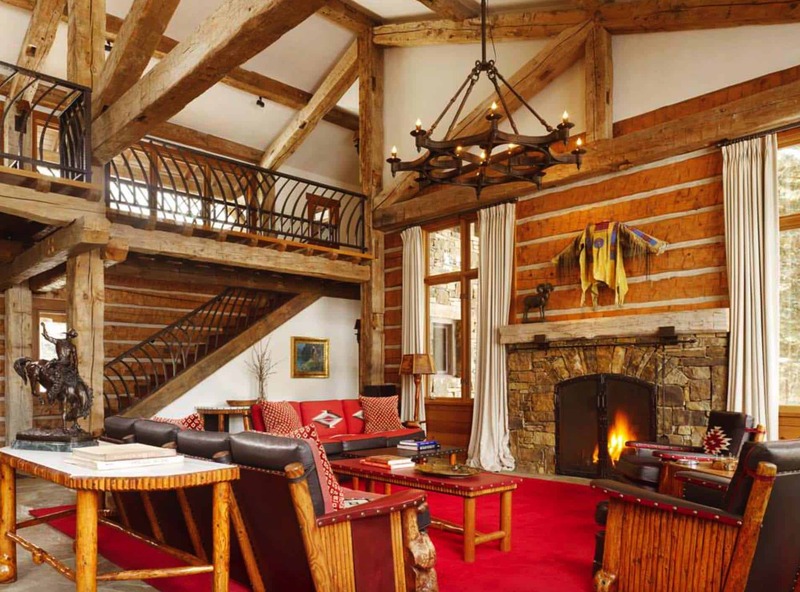 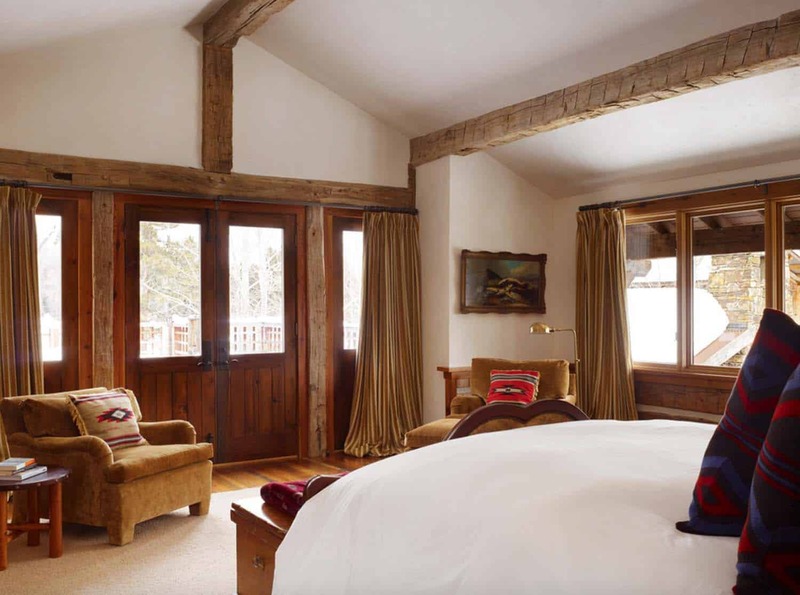 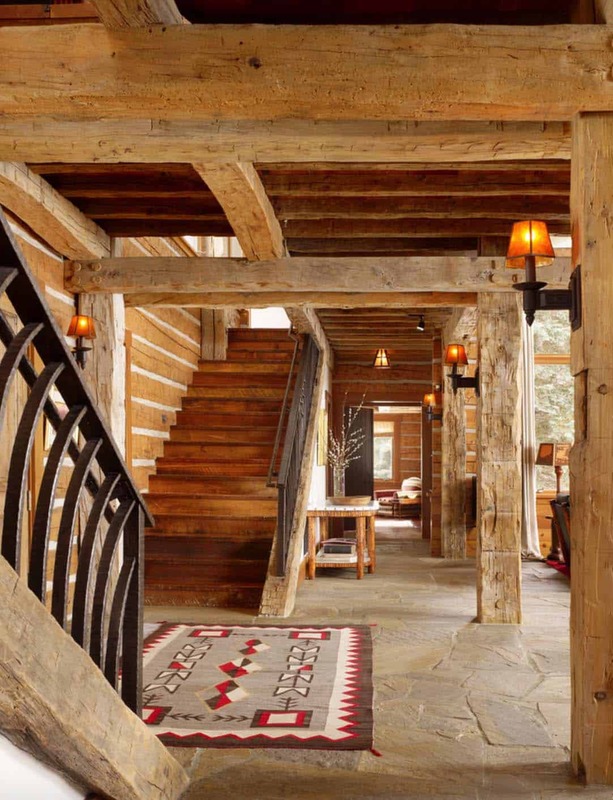 What We Love: This fabulous rustic lodge house offers a warm and comfortable interior with a spacious and airy layout. 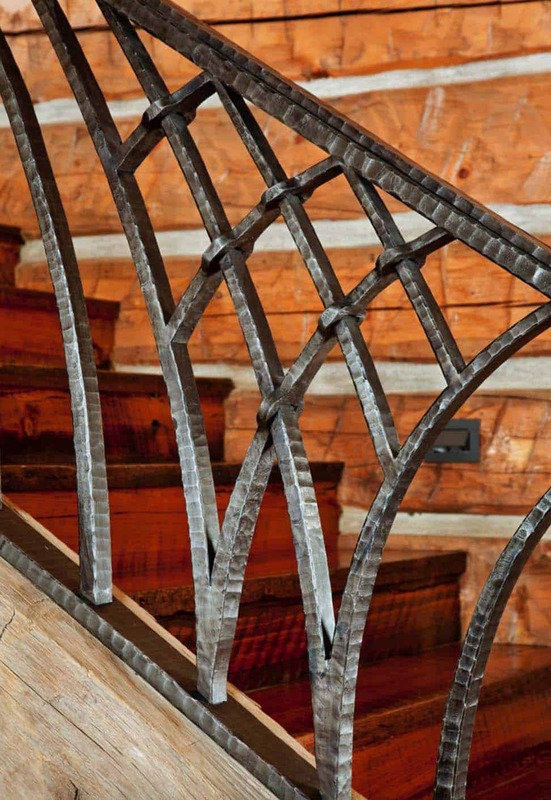 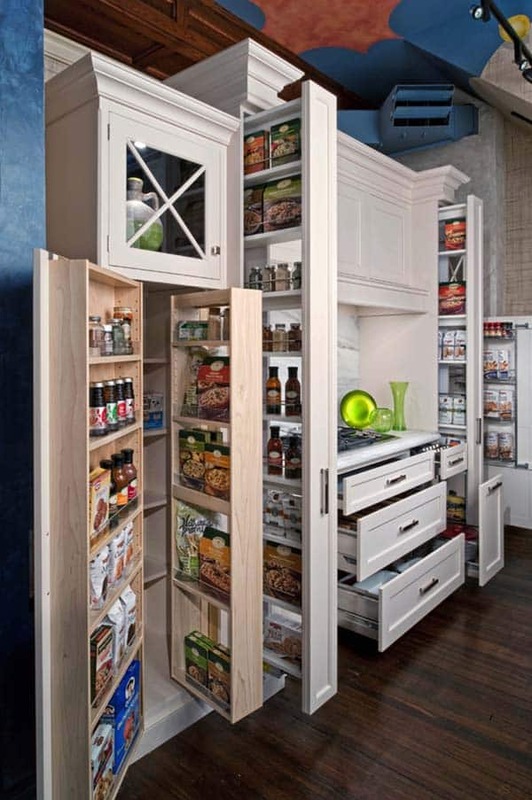 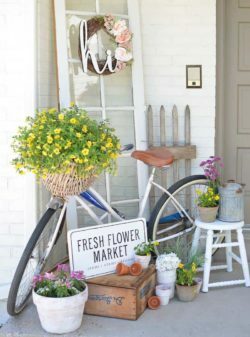 There are plenty of customized details throughout that makes this home very unique. 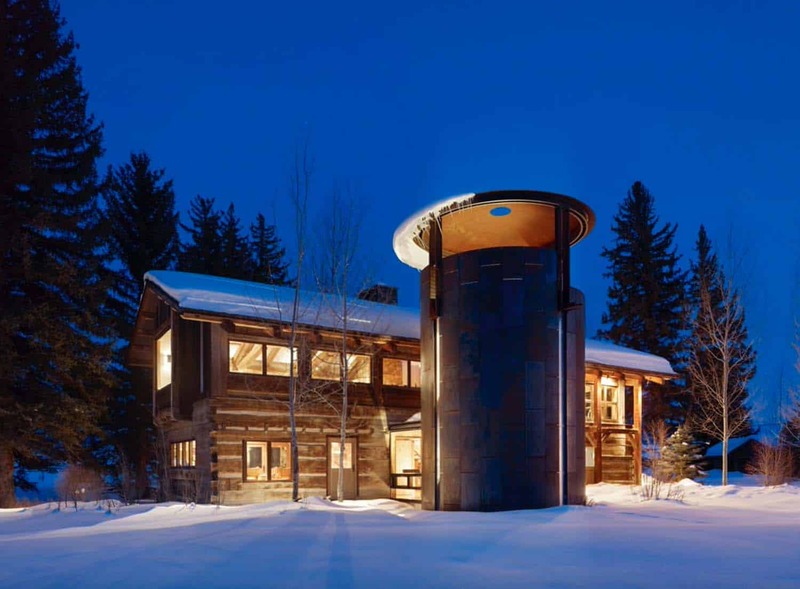 We are especially loving the idea of the wine silo, adding to the overall beauty of the architecture… Readers, please share with us what details in this home caught your eye and why in the Comments below! 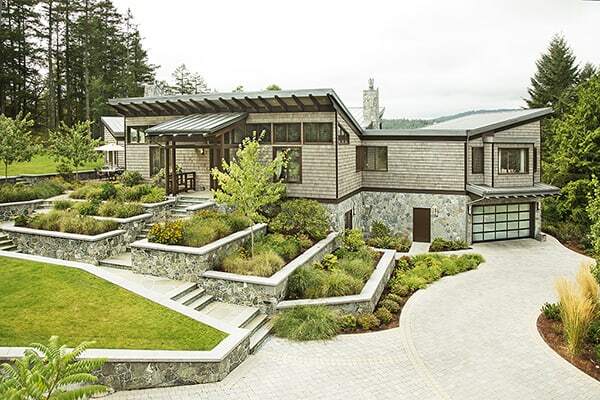 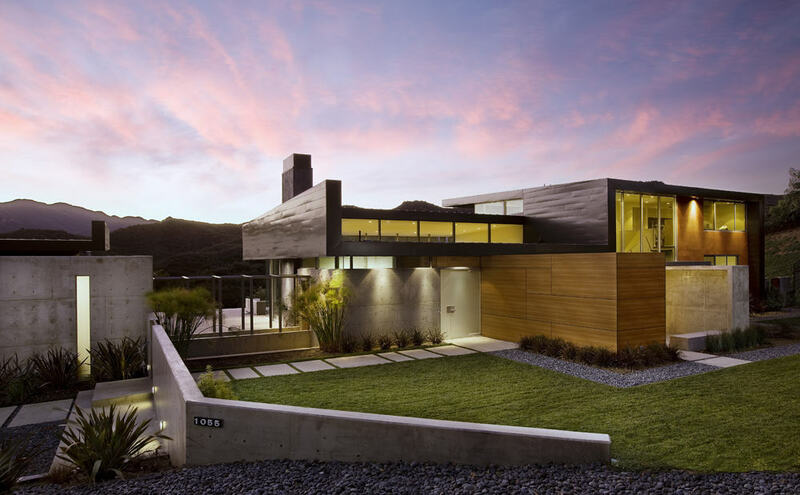 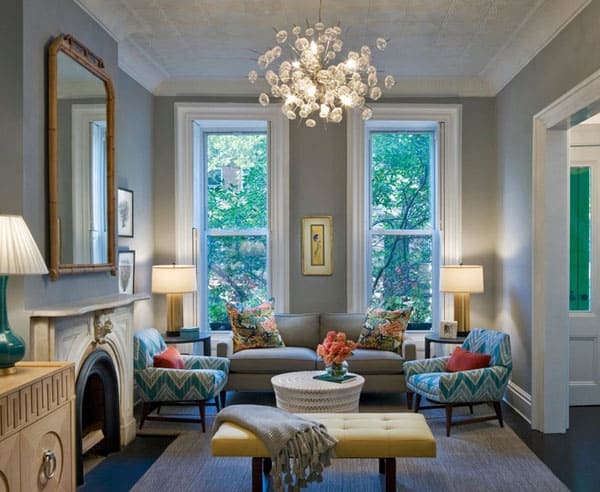 Note: Love the design of this home? 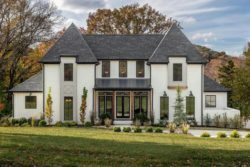 Have a look for the “Related” tags below for more projects that we have showcased here on One Kindesign from the portfolio of Carney Logan Burke Architects. 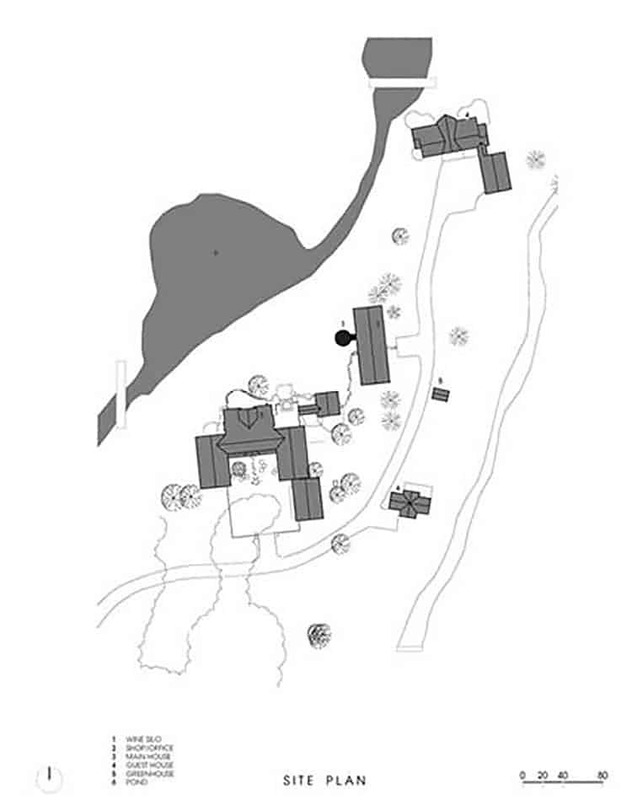 Above: The compound lies in the Snake River flood plain, therefore a standard wine cellar was not compatible with the building site. 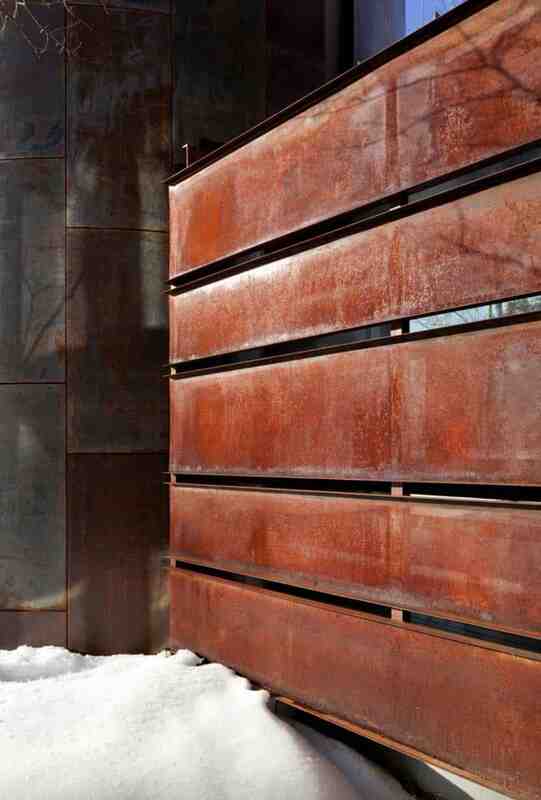 Borrowing from agrarian structures, the project team came up with the idea of the silo form as an alternative, elevated storage system. 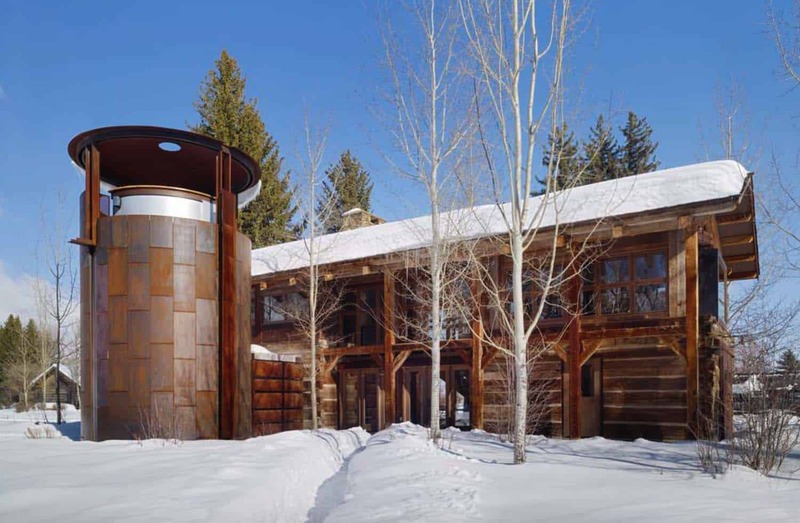 In order to gracefully weather and blend in with the existing buildings and landscape the structure is clad in oxidized steel plates. 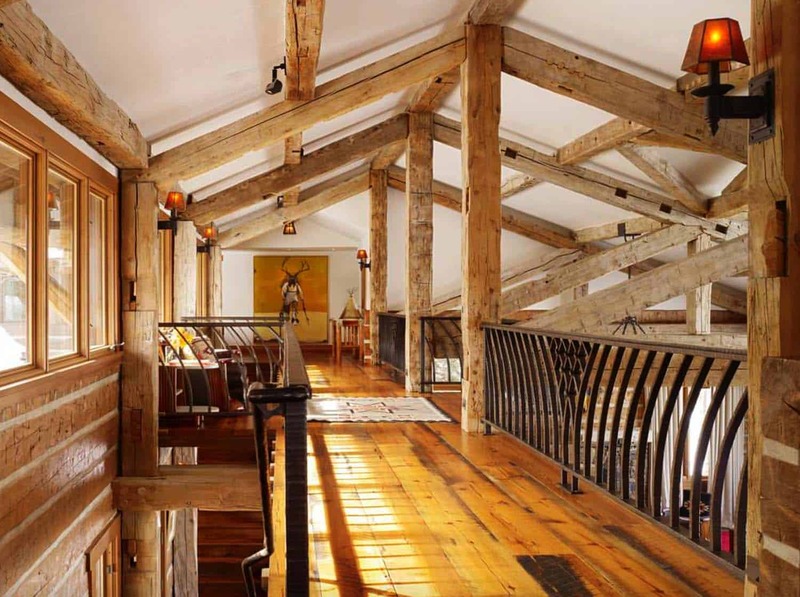 Above: The interior of the wine silo is inspired by a wine cask, characterized by reclaimed fir woodwork and a spiral staircase that accesses hundreds of carefully displayed wine bottles that lines the perimeter of the silo. 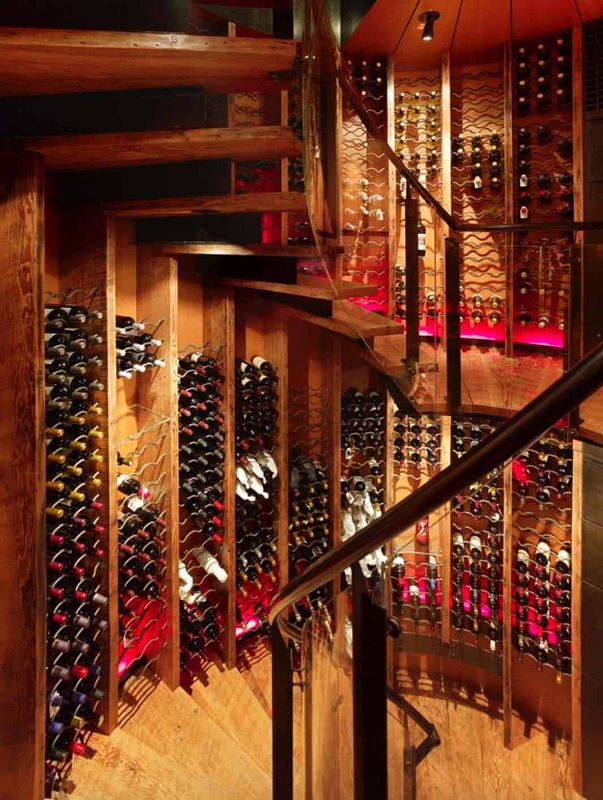 The three-story staircase ascends up to the roof where both the wine collection and views of the natural surroundings can be admired.